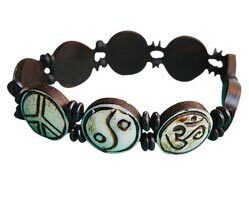 This Namah Shivaya Om bracelet is available in either a copper finish (top photo) or a silver finish (lower photo). 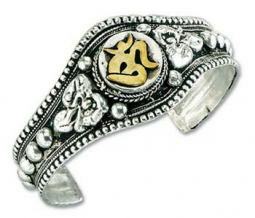 The Namah Shivaya Om on these bracelets means I bow to Lord Shiva in English. This is a very common prayer to the Hindu God Shiva, and you would see it inscribed in Shiva Temples and recited during Shiva Pooja. The lettering on these bracelet is afixed to the top. 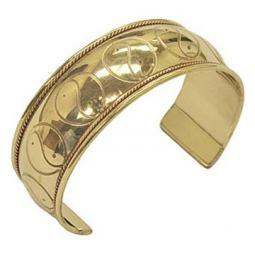 These bracelets are bendable so that they can fit most different wrist sizes.